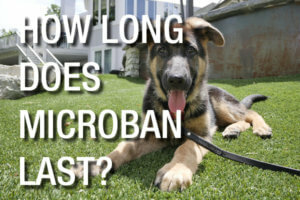 How Long Does Envirofill's Microban Last? Abbot and Costello, Simon and Garfunkel, Scooby and Shaggy, Envirofill and Microban, all famous duos that have spread joy and positivity to the world. USGreentech and Microban have partnered for over 7 years to bring a superior infill to the synthetic turf industry. One which contains a steadfast antimicrobial, antibacterial, antifungal additive that lasts the life of the infill. That infill is Envirofill. Envirofill has been around since 2005 and is a proven infill in a wide array of turf applications. Whether it be a backyard, a playground, a dog park, a rooftop, or even a large sports field, Envirofill provides many benefits that other infills cannot. Envirofill is a round, acrylic coated sand, colored to best match your installation, and infused with technology from Microban to help fight against the growth of bacteria, mold, mildew, fungi, and algae. Microban is not the name of the technology itself but rather the name of the company that innovates protective chemistries for solid products, coatings, and fibers. Microban technology is different from other antibacterial technologies in that Microban partners with manufacturers to infuse their technology into the polymer structure of finished goods. In other words, Microban technology is not a topical application but rather a permanent solution. Our chosen antimicrobial technology has a low solubility which makes it very durable. Testing shows that polymers soaked for 2000 hours at 158°F in a detergent bath remained 99.99% effective in preventing the growth of a particular gram-negative bacteria. Its thermal stability (up to 455°F) makes it very suitable for use in a product such as synthetic turf infill. The technology is a broad-spectrum antimicrobial and has multiple modes of action against bacteria and fungi, therefore it prevents microbes from adapting and developing resistance. Read more about Microban. How permanent is Microban technology? Well, you read above that it lasts the life of Envirofill’s coating. How long does Envirofill’s coating last? You can read more about that via the blog about Envirofill’s coating or keep reading below to get the cliff notes. Envirofill is designed to last for two field life cycles, which equates to 16 years. Envirofill’s acrylic coating can be summed up as a high-grade clear plastic. We chose this type of coating for its extreme durability and resistance to the outdoor elements. It is very stable and is common in a wide array of consumer products because of its strength, dependability, and inert properties. In order to prove its durability, we’ve taken it through a battery of tests, some of which are briefly outlined below. Accelerated UV - this test subjects Envirofill to thousands of hours of hot/cold and wet/dry cycles. Post test conditions are compared to pre test conditions. - PASS! Rainbow Trout - this test places Envirofill into a tank of water with juvenile rainbow trout. The trout are observed to determine if they are stressed by anything leaching from the infill. We’re proud to say Envirofill passed with a score of 100% meaning Envirofill doesn’t leach. - PASS! Micro-Deval - this test tumbles Envirofill in a drum with ball bearings to measure breakdown (or lack of in Envirofill’s case). - PASS! 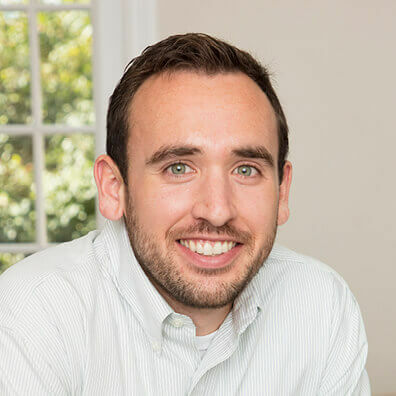 You’d be hard-pressed to find other companies willing to offer a 16-year warranty on their product(s), especially products that are exposed to the elements and taken through a beating day in and day out. We know you’re investing a lot of time and money into your turf installation and we want you to have confidence in your decision. When you choose Envirofill with Microban antibacterial technology, you are choosing an infill with antibacterial protection for the life of the product.